The documents below are in PDF format and require Adobe Acrobat Reader which can be downloaded here, if needed. Amenities: The secure, fenced, illuminated facility includes five warehouses offering 388,500 square feet of warehousing space with around-the-clock access. Amenities: The Fort Lauderdale Executive Airport serves as the hub site with six satellite sites located in the city of Fort Lauderdales Enterprise Zone, Community Redevelopment Area and other parts of Broward County. It's easy to attend the big events in Broward County. With the completion of their expansion, the Greater Fort Lauderdale/Broward County Convention Center is bigger and better than ever, positioning it for meetings of all types and sizes. The expansion includes the introduction of high tech features, such as video conferencing, satellite downlink and a Cyber Café, where one can access the Internet while catching a bite to eat. With a renowned, five-star food and beverage department, famous for its intricately carved ice sculptures, gourmet seated meals and a selection of breakfast, lunch and snack carts, any meeting held at the Center is sure to be a success. Where can I search for information on public schools? What is the educational status of those 25 years and older? 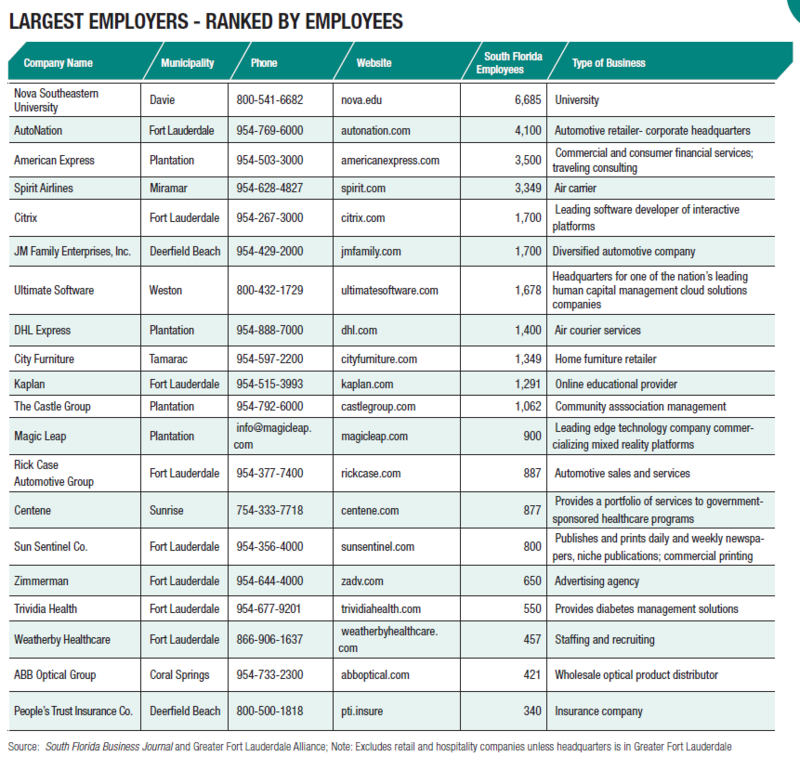 Which are top employers in Broward County? 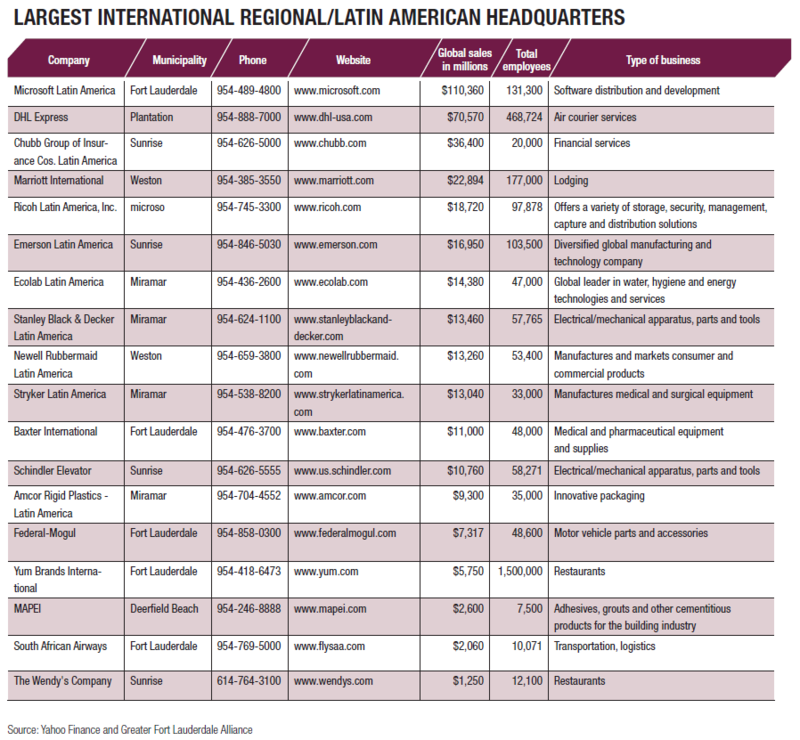 What assistance and incentives are available for relocating or expanding companies? Where can I find information about your workforce? How do I obtain a license to operate my business? There are many types of licenses. You need one to operate legally almost everywhere. If the business is located within incorporated city limits a license must be obtained from the city; and/or if outside the city limits, from the county. How do I obtain a permit to operate my business? The Building Code Services Division of Broward County is responsible for conformance to the Florida Building Code for all new construction in the unincorporated areas of Broward County and in those municipalities that have an Interlocal Agreement for services with Broward County. If you are in a city jurisdiction, please call that city's building department. 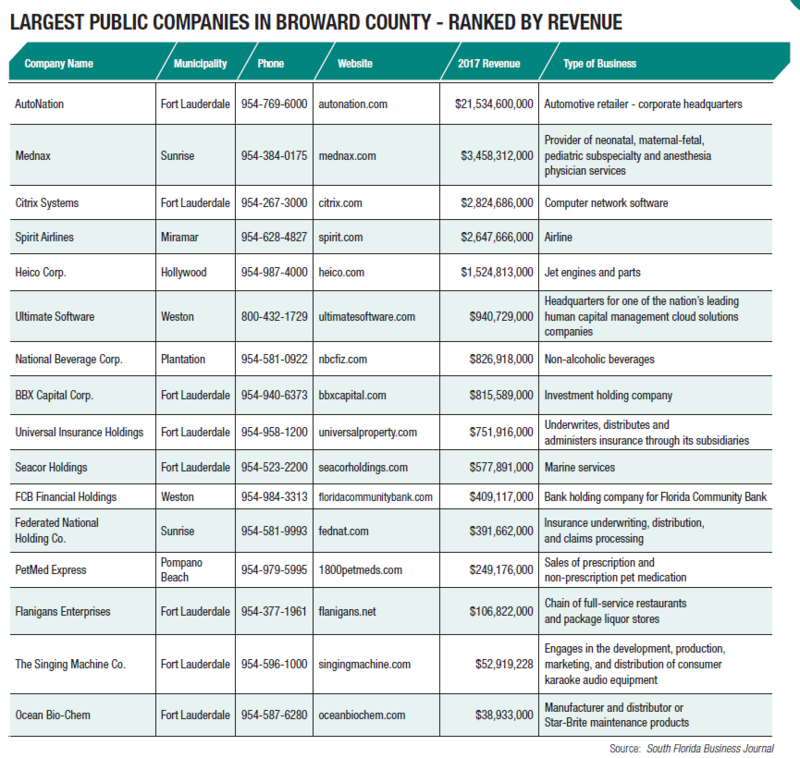 Where can I learn more about the IT industry in Broward and Southeast Florida? Where can I find more information on Angel and Venture Capital Investors, Financial Services Firms, Hedge Funds, and Investment Banks? Where can I obtain information on Foreign Trade Zones? Where can I obtain information on Enterprise Zones, Brownfield Areas and Community Redevelopment Areas? Where can I learn more about electricity, water usage and oil & gas rules and regulations? What is the process for obtaining FDA approval?